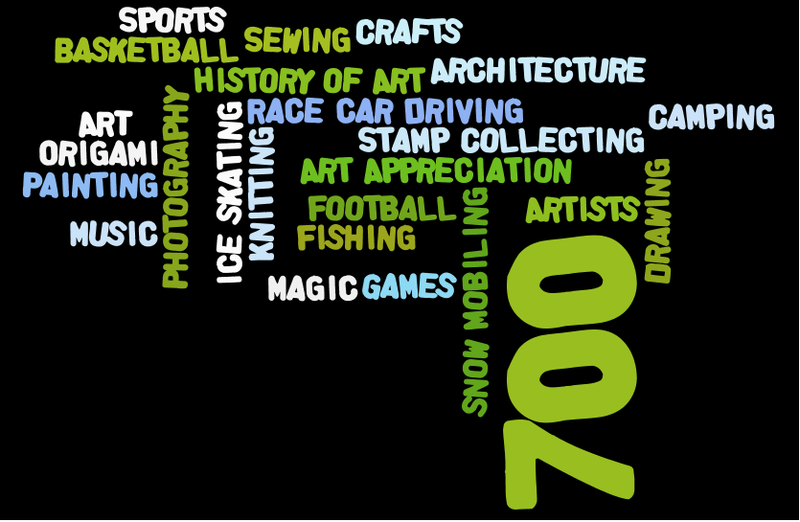 Wordle is a favorite Web 2.0 tool of mine and the students love it. I thought it might be fun to combine Wordles with the Dewey Decimal lessons that we do at the beginning of the school year with 3rd and 4th graders. Before starting the project, all students login to their server accounts and open either the shared folder for the building or my building dropbox. This is how I collect all the files at the end of the class. To get started, I have the student access the list of categories and some of the top subjects. They download the list to the desktop and open it in Word. They then select their "favorite". At this point, they get a review in copy/paste techniques (keyboard shortcuts and commands). They copy the entire category, including the Dewey number. Next, they return to the web browser and use the Media Center link to access Wordle.net. I show them the two places they can click to "Create" a new Wordle. They paste their information into the empty box and I explain that the more times a word (or any string of characters) is repeated, the larger it will be. After their initial Wordle is created, I demonstrate how to change the various elements such as font, layout and color. Most important is to click on "Language" and unclick "Remove numbers" so that the Dewey number will display. After they are happy with the results, I show them how to do a "screen clip" using the keyboard command on their laptop. (Command/shift/4) This image saves to the desktop and after it has been renamed (student's 1st name) , it is dragged to the open server folder. After I have all the screen shots, I put them in a folder and move them to my laptop's hard drive. Last year, I spent a little more time on this project and instead of using Animoto, we wrote and recorded Dewey raps using GarageBand, creating enhanced podcasts, with audio and images. Students love the videos and watch them repeatedly.